As in earlier years, Sig-I/O takes care of some of the lecture recordings at various conferences like CfgMgmtCamp, LOADays, HackerHotel, Eth0 and Techtalks at IT-Gilde, Revspace and Bitlair. During one of these recording sessions, JJ Asghar (@jjasghar), asked about the video setup and asked if there was a blog-post about how it worked. This will be that blog-post. The basics for the recording setup being used is founded on the use of Open Source / Free Software and affordable hardware. Originally a Firewire based camera setup and dv-grab were being used, but since new machines with firewire have been getting harder and harder to find, a switch to something more modern was needed. A camera with HDMI output, and preferably some form of audio input and connected to the HDMI capture card. HDMI Splitter between the presenter's laptop and the projector, with the second output going to our HDMI capture card. A reasonably fast/modern laptop (i5-6th gen or newer) with USB3 ports running Linux. Canon XA10, nice and small, internal 64GB flash and dual SD-slots, 2 XLS's and minijack audio input, basically everything we need. (No option to have XLR+internal mic running at the same time though). Panasonic AG-AC90, large, featurefull, good optics, 2 XLR's and internal mic, all switchable. 2 SD-cards and good audio tuning/interface. Sony (model unknown), records to tape only so no backup to SD-cards, HDMI output, proprietary batteries and hard to find an AC-adapter for, not recommended. In many larger venue's amplified audio is essential, so an audio hookup using an XLR cable is preferred (with the mic-signal from the speaker). This will allow us to get a clear and crisp audio input for our recording. For smaller venues or if there is no audio equiptment present, we usually use some Samson Concert 88 series wireless microphones/beltpacks, as these are decent and affordable, though not as good as the (way to expensive) senheisers. When a speaker used video and/or audio in their presentation, this will also be received when it is sent over the HDMI port (not always the case). One or more seperate handheld microphones are nice to have, so the presenter can be introduced or mic's can be put in the room for questions. Affordable USB-3 HDMI capture cards are available from the usual chinese websites, and are mostly clones of Magewell capture cards. Expect to pay about $60 to $110 for them, and steer clear of the $20 ones, as these are SD-TV capture cards with an HDMI port. The quality on those cheap ones is beyond useless. The 'good' ones will be marked with words such as: HDMI USB3.0 1080P HDMI Video Capture Card for Windows/Linux/Mac USB UVC UAC. Basically, these are HDMI input ports which present themselves as generic USB webcam's and audio sources to the computer, and they work with the generic webcam drivers (USB Video Class, USB Audio Class) available in Windows, Mac and Linux. The final piece of the pie is OBS, a bit of open-source software meant for webcam streaming. In my setup I usually hook up the 2 video/audio sources, name one 'Camera' and the other 'Speaker' or 'Projector', add a logo and titles (using the chatlog feature). By orienting the camera vertically, the 2 video-streams can be combined more efficiently, leaving out less empty space. OBS allows you to configure various scenes beforehand, and quickly change between these at runtime. It's handy to have a full-screen projector version, some picture-in-picture scenes, and a default scene with everything. In OBS you can also configure your livestream, for example to Youtube or Twitch (and various other sites/methods). At most events (with enough bandwidth) we livestream to youtube and simultaniously record to disk. The camera itself is also recording constantly, and this recording can be used in case of issues with the computer-recording or as an audio-source then needed. After the event is completed, the recordings are usually edited using kdenlive to cut out the idle bits before and after the talks, long questions where there isn't a microphone in the room and for delays in demo's / mistakes. A title-card is added which will give some info about the video and the event. When editing is complete, the video is re-encoded as VP9/Webm for upload to youtube and the event website. Uploading to youtube is done manually, with texts and titles copied from the event schedule. In case of CfgMgmtCamp, most speakers have a twitter-account, and a tweet is sent out with the link, title and hashtags for the video. When the edited video's have been uploaded to youtube, the livestream versions are usually taken offline, as these are of lower quality. Recodings in more rooms, even if it's just a static unmanned camera, as long as it's on a tripod or fixed mount, audio input would also be preferred, unless the camera is really up close and personal, so the internal mic would have enough signal. With the release of the first beta version of RHEL-8, and more Linux trainings coming up in the coming months, I've decided to start writing some educational documentation for Linux System Administration on modern versions of CentOS, RHEL, Debian and Ubuntu. The plan is to do this as an Open-Source project and modern open-source methodologies. The book is begin written using reStructuredText (just like this blog), to be processed into webpages and PDF documents by Sphinx. Currently the source is hosted in a private repository on Bitbucket, but if the project gets a bit more mature, it will most likely be moved to either a public Bitbucket repository, or more likely a public github repository. 6to4 is a deprecated form of IPv6 access, but something that would work for any connection with a fixed IPv4 address. Configuring 6to4 on OpenWRT is quickly done, and it was easy to delegate a /64 subnet to my local network. 6to4 however results in a quite slow connection (of around 10 to 20 megabit), and reachability was spotty at best. Upto a couple of years ago there used to be various public tunnelbrokers for 6in4 tunnels, and I used the sixxs.net tunnels for almost 10 years myself, however, almost all public tunnel-services seem to have shut down over the years. Only HE.net's tunnelbroker seems to be alive. I have used a couple of HE.net tunnels throughout the years, and while they work fine in general, they seem quite limited in available bandwidth. This became even worse as sixxs.net shutdown, as most sixxs users migrated to HE.net. Configuring OpenWRT to use a HE.net tunnel is quite easy, just a matter of copy/pasting the values from your HE.net account into OpenWRT's webinterface and providing credentials for the dynamic updating of the tunnel. 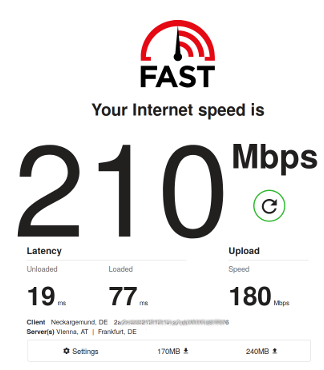 I did some speed-tests and these confirmed my experience, I seemed to be limited to maybe 20mbit, which is a bit low when using a 700+ mbit connection, but this is to be expected for a free service. If your needs are limited, HE.net is a good and free solution. The third and final method of getting IPv6 that I tried was tunneling over IPv4 to my own server in a public datacenter. At that server (hosted at Hetzner) I have a /56 of IPv6 space, This is not standard, but available on request, and you get a /64 standard with every server or VPS. I configured wireguard on OpenWRT (client) and my server in the datacenter, and route a /60 subnet of IPv6 space to my home-network. This range can then be split further for a couple of subnets. The remainder of the /56 can be used for some more VPN's and tunnels. 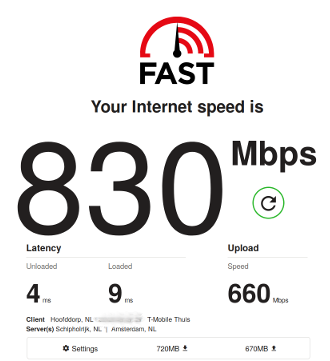 Using the Wireguard VPN and testing speed on IPv6 I could easily get over 200mbit per second and I have even seen it hit 500mbit. This week marks the 9th year in Sig-I/O's existance. Looking back over the past nine years shows a nice growth in the number of clients and a collection of interesting assignments Sig-I/O has been involved in. While the services that Sig-I/O provides have shifted somewhat over these 9 years, some have also remained the same, with some clients already with us from the very beginning. The past few years have been mostly about Managed Hosting, Linux-, Ansible- and Security-Consulting and since a few years also Training, via a partnership with IT-Gilde which has been going steady for 3 years now. The next few years will undoubtedly bring many more interesting challenges and opportunities. As you might have noticed if you visited my site before, the entire look and feel has been changed. The site is now powered by the Nikola static-site-generator. The most-recent articles have been migated over, the older articles from the previous website will be restored when they are still relevant. I had been thinking about using a Static-Site-Generator before, but wordpress was working quite well for me. Recently however I managed to lose my wordpress database, and this privided me with a good opportunity to re-do the site using Nikola. I'm still getting the hang of writing reStucturedText, and still need to update some pages, but at least the website is back from the abyss. Most articles have been restored from the WayBack-Machine operated by Archive.org. The Routerboard RB750Gr3 (aka Hex3) is a nice and very affordable (~$60) hardware platform based on the MediaTek MT7621AT. It features gigabit ethernet ports, and a relatively fast multi-core CPU. However, out of the box it runs RouterOS. While this is a feature-full platform, I found configuration difficult and not very pleasant. Hoping that a build of OpenWRT/LEDE would soon become available, I bought an RB750Gr3 a couple of months ago. A build became available, but it couldn’t be flashed on the RB750Gr3 without external hardware like a bus-pirate. But this has recently changed, and it’s now possible to TFTP boot a LEDE runtime, which allows access to write to the flash/mtd. Using this method it’s now possible to install OpenWRT/LEDE and upgrade uboot on the device without external hardware. The OpenWRT site documents this procedure nicely, however, it’s still quite a lot of work to build all the required images and files. So I’ve deciced to host the images that I’ve created here, so other people can skip this rather tedious step of building the image. One of my customers is using various (Samsung) SSD’s in their servers, and the first of these have started reaching their end-of-life. SSD’s have a somewhat different failure scenario then spinning metal disks, so monitoring their life-expectancy can be interesting. Besides just logging and graphing the SMART attributes, it is also handy to have some alerting on when certain thresholds are crossed. To do this, I’ve written a simple nagios/icinga script which will alert on interesting SMART attributes, and will also calculate the percentage of total guaranteed writes on the SSD’s. Since the guaranteed TBW value will differ between various SSD vendors and product-ranges, this value needs to be specified on the command-line by the user. I’ve integrated this check-script into my normal monitoring-scripts, but it can off-course also be used as a stand-alone tool. If has options to specify the device to smartctl, so disks behind raid-controllers can also be monitored. By joining ITGilde Coöperatie the customers of Sig-I/O Automatisering can make use of the knowledge and skills of a large (~50) group of highly skilled freelance Unix/Linux specialists. is: “over 5 minuten is het opgelost”. bijeenkomsten; gericht op Linux/Unix ondernemers. This can then be used to store API keys, passwords for various accounts, or other information that needs to remain secret while still being able to share and version your ansible plays.